What is the most important information I should know about benzphetamine? Benzphetamine can harm an unborn baby or cause birth defects. Do not use benzphetamine if you are pregnant. Do not use benzphetamine if you have used an MAO inhibitor in the past 14 days. A dangerous drug interaction could occur. MAO inhibitors include isocarboxazid, linezolid, methylene blue injection, phenelzine, rasagiline, selegiline, tranylcypromine, and others. Taking benzphetamine together with other diet medications (including medicines available over the counter) can cause a rare fatal lung disorder called pulmonary hypertension. Do not take benzphetamine with any other diet medications without your doctor's advice. Benzphetamine may be habit-forming and should be used only by the person it was prescribed for. Never share benzphetamine with another person, especially someone with a history of drug abuse or addiction. Keep track of the amount of medicine used from each new bottle. Benzphetamine is a drug of abuse and you should be aware if anyone is using your medicine improperly or without a prescription. Benzphetamine is a stimulant that is similar to an amphetamine. Benzphetamine is an appetite suppressant that affects the central nervous system. Benzphetamine is used together with diet and exercise to treat obesity (overweight). Benzphetamine may also be used for purposes not listed in this medication guide. What should I discuss with my healthcare provider before taking benzphetamine? if you have used any other diet pills within the past year. Benzphetamine may be habit-forming and should be used only by the person it was prescribed for. Never share benzphetamine with another person, especially someone with a history of drug abuse or addiction. Keep the medication in a place where others cannot get to it. FDA pregnancy category X. This medication can harm an unborn baby or cause birth defects. Do not use benzphetamine if you are pregnant. Tell your doctor right away if you become pregnant during treatment. Use effective birth control while you are using this medication. Benzphetamine can pass into breast milk and may harm a nursing baby. You should not breast-feed while taking benzphetamine. How should I take benzphetamine? Benzphetamine is usually taken once each day, mid-morning or mid-afternoon. Benzphetamine should be taken only for a short time, such as a few weeks. Tell your doctor if you have not lost any weight after 4 weeks of treatment. Benzphetamine is only part of a complete program of treatment that may also include diet, exercise, and weight control. Follow your diet, medication, and exercise routines very closely. Keep track of the amount of medicine used from each new bottle. Benzphetamine is a drug of abuse and you should be aware if anyone is using your medicine improperly or without a prescription. Seek emergency medical attention or call the Poison Help line at 1-800-222-1222. An overdose of benzphetamine can be fatal. Overdose symptoms may include confusion, panic, feeling hostile or aggressive, nausea, vomiting, diarrhea, stomach cramps, fever, muscle pain or weakness, dark colored urine, irregular heartbeat, weak pulse, slow breathing, feeling light-headed, seizure, or fainting. What should I avoid while taking benzphetamine? Drinking alcohol can increase certain side effects of benzphetamine. To prevent sleep problems, avoid taking this medication late in the afternoon. Benzphetamine may impair your thinking or reactions. Be careful if you drive or do anything that requires you to be alert. What are the possible side effects of benzphetamine? What other drugs will affect benzphetamine? 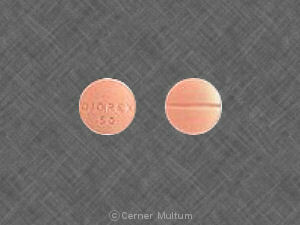 a stimulant or ADHD medication such as Adderall or Ritalin. This list is not complete. Other drugs may interact with benzphetamine, including prescription and over-the-counter medicines, vitamins, and herbal products. Not all possible interactions are listed in this medication guide. Your pharmacist can provide more information about benzphetamine. Copyright 1996-2017 Cerner Multum, Inc. Version: 4.04. Revision date: 11/19/2013.